The lion's head along Kennon Road is a landmark that is synonymous with Baguio City. 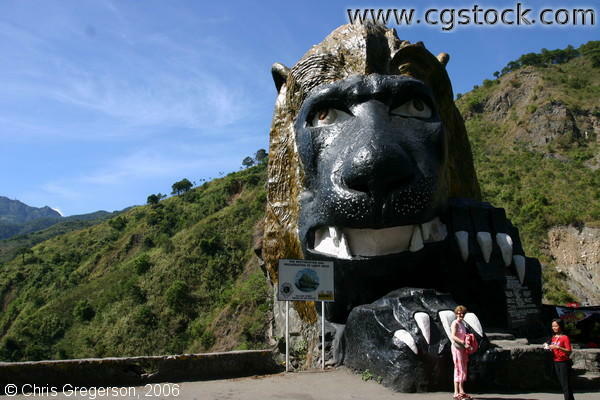 The 40-foot high lion's head, located a few kilometers from the Kennon Road view deck, was carved by a Cordillera artist from a limestone boulder. The Lion's Club members of Baguio City had created this piece of art, a symbol that would proclaim the presence of the group in this mountain resort city.